It's well known that sound at particular levels can cause problems -- we've all seen demonstrations of wine glasses being shattered by high frequencies, for example. You might not think that's much of an issue for computers, but researchers at the University of Michigan and Zhejiang University in China have shown that sounds can be used to interfere with disks. Last year Princeton researchers showed it was possible to carry out denial of service attacks on hard disk drives, stopping CCTV systems from recording, and causing other problems by directing sounds at the drives. This latest study goes further, seeking to understand why the problem occurs and looking to find ways to defend against sonic attacks. 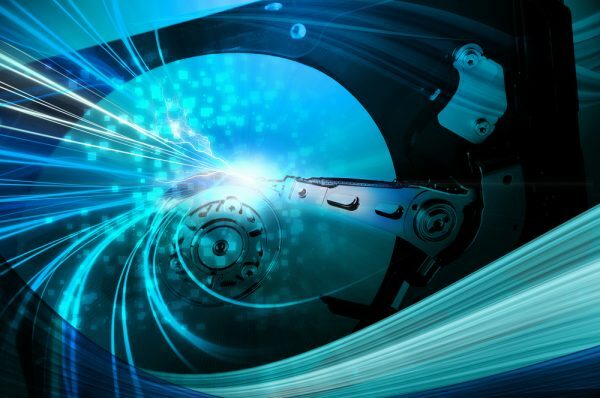 Hard drives operate at very fine tolerances, spinning at high speed with the heads flying close to the surface. Anyone who remembers back to the days of removable disk packs and has seen the results of a head crash knows why disks are now sealed to keep out dust. What this research shows is that you don't need physical contamination to induce a problem in a hard drive. Playing a sound through the computer's onboard speakers for as little as 12 seconds proved enough to disrupt the drive to the point where it was unable to write data. The researchers note that, "Our case studies show that an attacker can use the effects from hard disk drive vulnerabilities to launch system level consequences such as crashing Windows on a laptop using the built-in speaker and preventing surveillance systems from recording video." The worrying thing about this attack method is that it requires no special equipment. It could therefore potentially be carried out using malware. However, the researchers have also looked at ways of guarding against attacks. These include building noise dampening material into the system, or changing software so that damaging sounds can't be played. You can find out more in the full research paper.